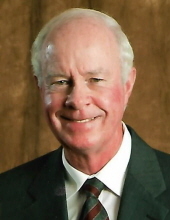 Richard E. Lofgren passed away and went to his eternal home April 23. He was born Nov. 28, 1947, to Harold and Loveta (Reno) Lofgren in Bethany. He moved to Piedmont with his family in 1958 and graduated from Piedmont High School in 1967. While growing up, he farmed in the Piedmont area, worked in his father’s mechanic shop and was active in churches where his father served as minister. Rick spent 42 years working for Macklanburg-Duncan, now MD Building Products, where he retired from the customer service division. He also retired from the Piedmont Fire Department in 2001. He joined the volunteer department in 1969, served as deputy chief from 1977 to 1985 and served as chief from 1985 until his retirement. Under his leadership, the department garnered community support to purchase seven fire trucks, constructed two fire stations, acquired its first Automated External Defibrillator, improved the city’s Insurance Service Office rating and substantially upgraded its radio communications system from a largely one-way system with a five-mile limit to a two-way system covering the entire fire district. He led the department to host an annual tanker shuttle for fire departments in Canadian County and other areas for 15 years. The operation was featured in Firehouse Magazine. Rick served as a Piedmont town commissioner and as a deacon of the First Baptist Church of Piedmont for several years. He also served on the building committee for the church’s current and larger sanctuary. He married his wife of 44 years, Margaret (Brown) Lofgren, on June 25, 1972. After residing in Oklahoma City, the couple established their home in Piedmont in 1974. In his later years, Rick’s most treasured role was that of PaPa. He enjoyed time with his grandson regularly, instilling in him the values of diligent work and integrity. Rick was beloved around Piedmont, and by all who knew him, for his generosity and his willingness to help anyone in need. Rick was preceded in death by his parents and his sister, Peggy Lofgren. He is survived by his wife, Margaret, of the home; daughter, Leslie, and her husband, Eric Berger, of Piedmont; grandson, Nathan Berger, of Piedmont; brother, Charles Lofgren and wife Darlene, of Bethany; sister, Louise Bell and husband Bob, of Muskogee; sister, Carol McKee and husband Cloyce, of Oklahoma City; uncle, Bill Lofgren and wife Gladys, of Spring Hope, NC; more than a dozen nieces and nephews, and many great nieces and nephews. Services will be held at 2 p.m. Wednesday at the First Baptist Church of Piedmont. Interment will follow at Bethany Cemetery under the direction of Groves McNeil Funeral Service. In lieu of flowers, contributions can be made to the Piedmont Fire Department, PO Box 240, Piedmont, OK 73078. To send flowers or a remembrance gift to the family of Richard E. Lofgren, please visit our Tribute Store. "Email Address" would like to share the life celebration of Richard E. Lofgren. Click on the "link" to go to share a favorite memory or leave a condolence message for the family.